Sutter Capital Group acquired this 28,000 SF office building strategically located in the burgeoning Broadway corridor just outside Downtown Sacramento directly from a lender. 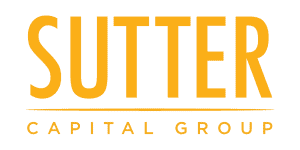 Sutter Capital Group was attracted to the property due to its sound physical construction, excellent freeway and public transit accessibility and visibility in addition to ample on-site parking. Given the flexibility of the property in terms of the potential for retail or office use, flexible building footprint configurations, etc., Sutter Capital Group approached the project as a hybrid built-to-suite opportunity where the firm would aim to work collaboratively with prospective tenants on designing a project to meet tenant specifications. The firm is currently marketing the building for lease and the partnership is well positioned to benefit from the intrinsic attributes of the property and strengthening Broadway corridor market fundamentals.